If you can't find the answer here, please submit a request and we'll help you out. What is Best Bike Split and why would I use it? 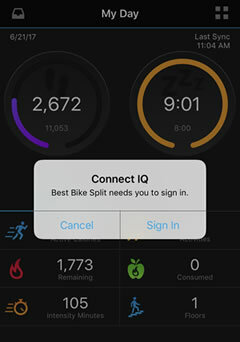 Best Bike Split is a app for cyclists and triathletes who race and train with power meters. The underlying technology that drives Best Bike Split lets you predict race times, plan optimal race strategy and actually execute the perfect race plan on the big day. When we started development we had a few use cases in mind but since launching people have used the app in ways we had never initially imagined. Below are just a few use cases compiled from our members and pros. Pre-train a race plan indoors with Zwift, TrainerRoad, Computrainer, etc. What if I don't race with a power meter? While Best Bike Split does rely on power to give an accurate model and pacing plan, it is possible to use estimated speed in lieu of power for race day execution via our Speed Based Course Cheat Sheet provided that you have done the following. Have a good understanding of what your accurate FTP (Functional Threshold Power) is based on an indoor smart trainer or from using a power meter in training (Powertap wheel). Rerun the model with the most up-to-date weather forecast update. Be flexible to know when a certain speed may be pushing your HR or level of effort too high. In these cases you can shift your target speeds down a bit and keep the same speed deltas between conditions. No problem. On the login page just click the link under the login button that says, "Forgot your password? ", then you can type in your email address and we'll send you information on resetting your password. I signed up but never got an "Activation Email". What do I do now? It may take several minutes for the email to be sent. If you have not received your "Activation Email" after several minutes, login to BBS (you'll get a message that you have not activated your account yet) and click the link to resend your activation email. If that doesn't work, please submit a request and we'll make sure that your email address is correct. Do I qualify for the special TrainingPeaks pricing? If you currently have a premium TrainingPeaks membership (coach or athlete) you are eligible for special pricing on premium Best Bike Split subscriptions. 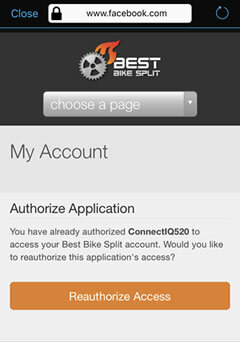 To check eligibility, please login to Best Bike Split then go to "Connect TrainingPeaks" under "My Account". Note that special pricing is only good for new premium accounts. Since we use your email address as a unique user login and email addresses must be verified, please contact us with your current email address and your new email address. We will verify it by sending you an email to reply to and then update our records with your new verified email address. What additional features do I get with a Premium subscription? Our premium features will help you plan and train for specific races, execute your optimal race day pacing plan and provide knowledge to help with race specific equipment selection as well as future purchasing decisions. 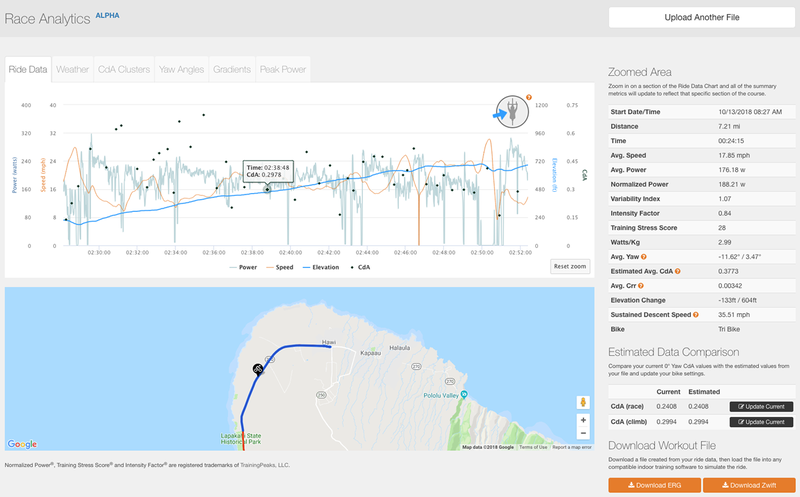 The Race Analytics Tool lets athletes and coaches upload ride files and analyze estimated aerodynamic drag factors after a race or training ride. This tool can help fine tune CdA (coefficient of drag x area) settings for athletes' bike setups within BBS, as well as to test different positions/equipment with field tests. It also allows you to look deeper into your data by verifying power meter data, extracting yaw angles, displaying weather data and more all from your uploaded files. Can I cancel my Premium or Coach Membership at any time? Sure, you can turn off auto renewal of your Premium or Coach Membership at anytime. If you do decide to cancel you will continue to have access to your Premium or Coach Membership until the end of that subscription period. In other words, for a monthly membership until the end of the current 30 day period that you cancel in and for an annual membership until the end of the current 365 day period that you cancel in. Please note that you will not be refunded for days remaining in your subscription period. How do I cancel my Premium or Coach Membership? To turn off auto renewal of your Premium or Coach Membership, just login to your account on BBS then click on "My Account" (top right of any page) and you will see the "Update Auto Renewal" link, click the link and then select the "Turn Auto Renewal Off" option. You will continue to have access to your Premium or Coach Membership until the end of your subscription period. How do I unsubscribe to future emails from Best Bike Split? 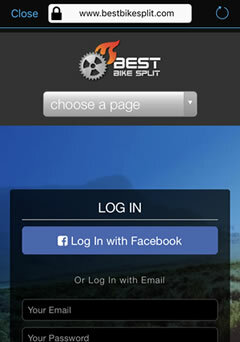 To unsubscribe to Best Bike Split's great newsletters, just login to your account on BBS then click on "My Account" (top right of any page) and you will see the "Change Opt-in" option. The email address for your account(s). The first time you sign on to your account the app should walk you through the basic setup, but it is pretty straightforward and you should be up and running (rolling) in less than 5 minutes. To create a race plan you will need to first create an athlete profile, a bike profile and either select an existing course or upload a course. 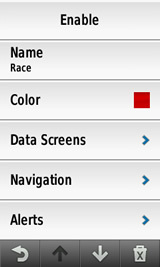 Once you have these 3 items completed just click the "Add A Race" under "My Races" and fill in the race data such as course, bike, weather conditions, goal watts and power limits. 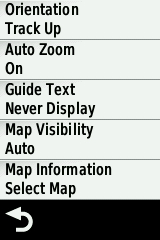 If you need more information about most of these settings remember you can rollover the icon for additional information. We will roughly estimate your FTP and Max HR based on your age and weight, but you should manually input your FTP if it's known. Note that your weight should include your cycling kit, helmet and shoes. It's important to have an accurate FTP value (see below for more info on FTP). This will estimate initial drag values for you based on your riding style, alternately you may use your measurements or input a known CdA value. Make sure to use your complete race ready bike weight (water bottles, pedals, etc). Bike drag values can be adjusted after running a model and comparing to a previous race. Upload a Course or Add one from our Existing Courses. 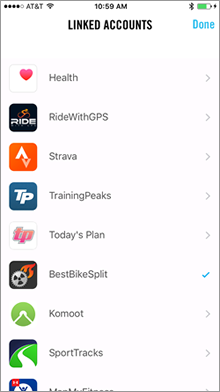 Course uploads are currently limited to .GPX and .FIT (activity) files which you can export from Garmin Connect, RideWithGPS.com, Strava, etc. 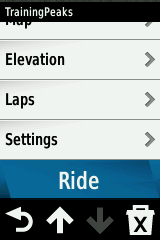 FIT files can be pulled directly off of your Garmin Device. 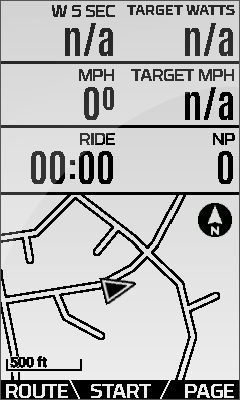 Note that courses can also be created manually on sites such as RideWithGPS.com and then the resulting GPX file can be exported for use with Best Bike Split. Many members use their first race plan to compare to a previous race to calibrate bike drag settings. 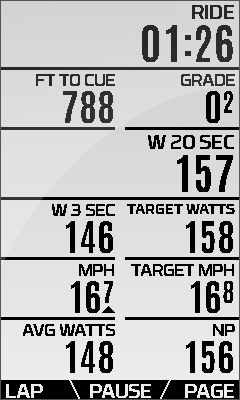 Try file downloads to test out training indoors, comparing plan data to actual results or executing the race plan with power prompts using a Garmin Edge Computer or Wahoo ELEMNT. Take a look at the cheat sheet for handy scenario based power targets. 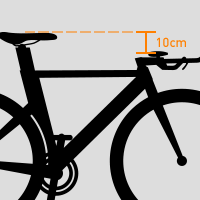 How do I use my bike fit measurements to get my drag calculations? Drag is the largest limiting factor when it comes to moving your bike forward. It is also one of the hardest factors to measure. We provide some general drag estimates based on the drop down racing and climbing position selections on your bike profile, but in an effort to help further refine an accurate drag estimate we have created an advanced Fit-Based drag calculator. This calculator takes specific measurements about your body and position on the bike to help refine your drag profile. You can always override your final drag profile with your own calculated data from velodrome or wind tunnel test data, but the fit based calculator should give more accurate results than our standard drop downs without the costs associated with aero testing. Width in centimeters from the edges of your shoulders while in your racing position. 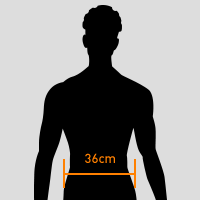 Width in centimeters at the widest portion of your hips while standing. Width in centimeters of your typical hand (road) or elbow (TT/Tri) placement while racing. 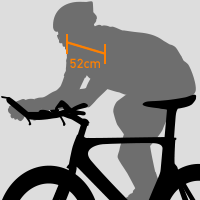 Width in centimeters of your typical hand (road) or elbow (TT/Tri) placement while climbing. Length in centimeters from hip to top of shoulder while standing. Length in centimeters from hip to top of helmet while standing. Length in centimeters of drop from the center of your seat to your handlebar tops or arm pads (if no drop use 0 centimeters). 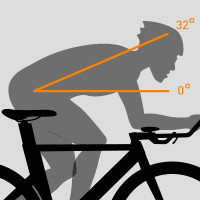 Angle from hip of a perpendicular line forward and a line through the top of your head, in your racing position (sitting straight up is 90 degrees). Angle from hip of a perpendicular line forward and a line through the top of your head, in your climbing position (sitting straight up is 90 degrees). 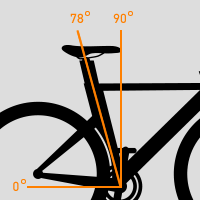 Effective seat tube angle (Road is typically 74-76 degrees and TT/Tri is typically 78-80 degrees). How can I calibrate my drag using a past race and the Time Analysis Tool? First you should review your Athlete Profile and your Bike Profile to ensure that they are set to match what was used on your recent race or training ride. 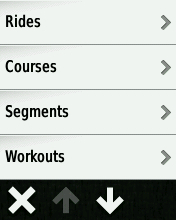 Select or upload a course that you have already completed such as a recent race or a training ride. Set up a Race Plan using your recent race or training ride course, set the historical weather conditions for the race (for best results use the Advanced Weather (Premium Feature), then select the Normalized Power model and create your race plan. 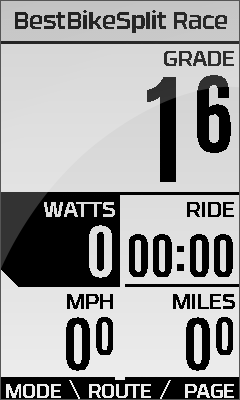 On the Race Detail page select the Time Analysis (Premium Feature) tab and adjust the power slider so that it matches your actual average power from the race/ride, then adjust the drag slider until the Adjusted Time matches your actual finish time from the race/ride. Note the Adjusted 0° Yaw CdAs shown below the Time Analysis chart. Update your Bike Profile under CdA Racing and Climbing by putting the noted CdA values from the Time Analysis Tool in the CdA field for your 0 Degree Yaw Angles. The system will automatically adjust the other yaw angles based on this initial change. To verify the adjustment to CdA, rerun the model by updating the Race Plan and check that your actual time is close to the model's predicted time. There may be a small time difference based on average power versus normalized power. You can use the Time Analysis Tool's power slider to set your average power to that of your actual average power from race day. If your CdA is correct, your Adjusted Time on the Time Analysis Tool should match up pretty close to your actual race day time without having to adjust any other sliders on the tool. Your drag should now be calibrated and you can setup and run much more accurate power plans for future races. How do I know which "Racing Position" to select for my riding style? This is the position that you spend the majority of a race in. Short distance triathletes and time-trialist may have an aggressive position, but most long distance athletes will be more relaxed. Here are the available race position options. This position is mostly upright. Imagine riding your Tri or Road Bike for an easy spin. Use this setting if you have a slight bend at your torso and your arms are roughly shoulder width apart. This setting is reserved mostly for those racing on road bikes in short time trials where an athlete will stay in the drops. It is possible for the drag to be better in the drops than on a triathlon or time trial bike depending on the athlete. 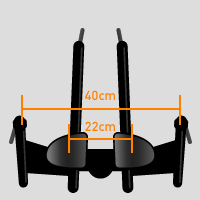 This setting is for those who have very little flexibility and use the aerobar more for long distance support. On a Tri Bike if your bars are at or a bit above your seat this may be a good setting for you. Consequently you could also measure your Torso Angle and if it falls in a 45+ degrees range this would be a setting to start with. If you are not very flexible and have a fairly upright position this is a good starting setting. 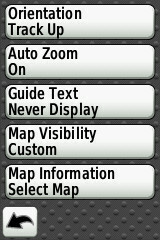 If you are using clip on bars you may want to start with this setting as well. This would be the standard setting for the majority of triathletes and time trialists. It represents a good aero position that you would achieve if you are fairly flexible and have a proper bike fit. Time trial specialists and small or very flexible triathletes will fit under this category. It may be very difficult to hold this position for more than a 40k race although some triathletes can hold a very tight position for races up to a half distance. How do I know which "Course Road Condition" to select for my race course? 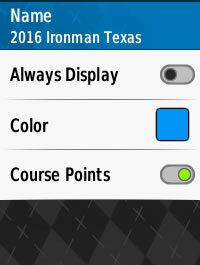 Select the condition that best fits the majority of the race course. Road condition can greatly affect drag especially over long courses. Take a look at these more detailed descriptions. This should only be used if you are racing on near perfect track-like road conditions. Good conditions would include fresh asphalt or smooth concrete roads. The average setting typifies the typical road conditions observed at most triathlons or time trials. Examples include a mixture of worn concrete with minor cracks or rougher asphalt. Poor road conditions include sections of considerable cracked concrete or worn down chip-seal. Roads that are not well maintained would also fall in this category. These roads may cause considerable bouncing up and down more than forward momentum. Fresh chip-seal or sections of cobbles may require the use of this setting. What is FTP and how do I get mine? FTP (Functional Threshold Power) represents the maximum average power you can maintain for an hour long effort. A shorter 20 min test, shown below, can be performed to approximate your FTP number. What type of file uploads are supported? 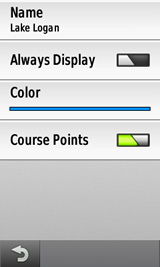 Currently we only support .GPX and .FIT (activity) file types for course uploads. 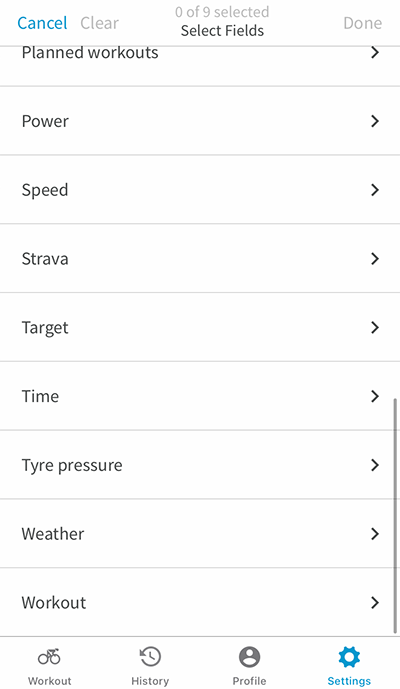 Course or route data can be used directly from your device as .FIT (activity) files or it can be downloaded as .GPX/.FIT files from multiple applications such as TrainingPeaks, Garmin Connect, RideWithGPS, Strava, etc. 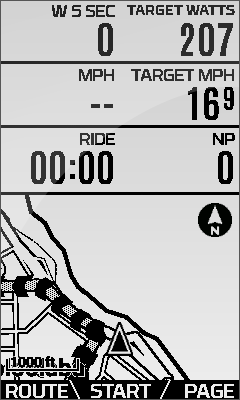 Note that courses can also be created manually on sites such as RideWithGPS.com and then the resulting GPX file can be exported for use with Best Bike Split. How can I create my own course file manually? 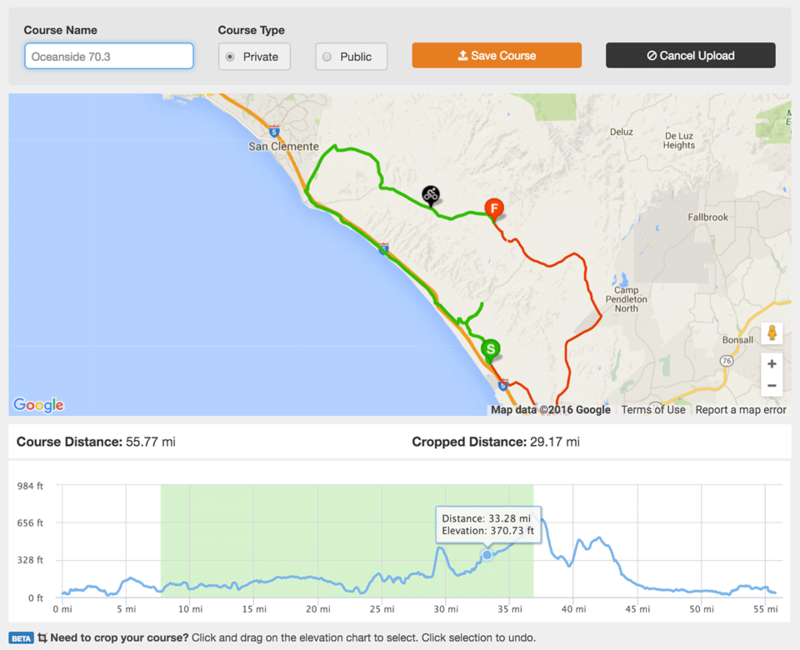 You can manually create your course using RideWithGPS.com and then export the course's GPX file for use with Best Bike Split. 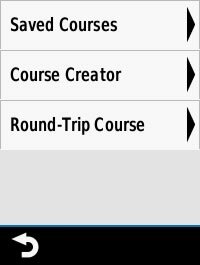 RideWithGPS.com has a very good help section on Creating Routes (Planning), but keep in mind that you will need a detailed map and/or turn by turn directions in order to draw an accurate course out. Do a thorough search for the course in our system. Search the "Event/Course Name" field using a single key word for more results. 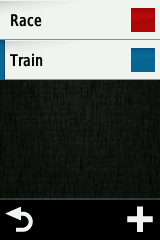 For example a search using "Iron" will include results with "Iron", "Ironman", "Half-Iron", etc. Check your event's website as they may already have a GPX file for download. How can I create a smaller section of a course for analysis? After performing analysis on an entire race course you may want to isolate certain sections or segments of a course to model individually. 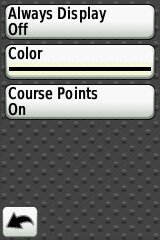 To do this go to the specific course page used for your model, download the GPX file, then upload that file (using the course upload button) and crop the course to the desired section. You can then duplicate your model changing out the original course for the new course section. For higher fidelity you will want to turn on the Rolling Start option in your advanced settings. This is useful for analyzing sections of a race where you may want to test certain tactics or for training for specific sections of a course using one of our downloadable files. 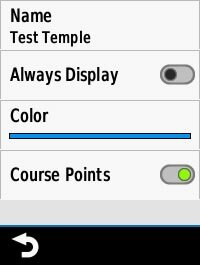 How can I download just the course data (GPX file)? To download the raw course data which includes latitude, longitude and elevation data go to My Courses, , click on the view (magnifier) icon for the course you want to download under, then click the Download GPX file button. This file is a standard course format used by most mapping and indoor trainer companies. Note if you are using this data for training indoors it will not include any of your specific race plan power, weight or aerodynamic details. For training specifically for a course we suggest using our Erg, TrainerRoad or Zwift power files found on your specific race plan details page. 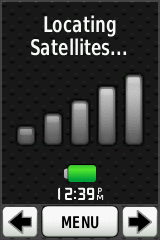 What are the most accurate devices/source to get my .GPX or .FIT file from? Achieving the best results from Best Bike Split is dependent on having a quality .GPX or .FIT file with accurate elevation data for our math and physics model. 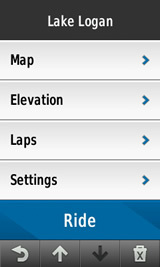 Below is a guide to help you select the best .GPX or .FIT data to upload to the system. *The Garmin 500, 910xt and 920xt can often collect accurate data, but have been shown to be prone to temperature drift and occasional drop outs. How do I use .FIT activity files to create a course? You can now create courses using a previous ride's .FIT activity file from a Garmin Device or other device that records .FIT activity files. 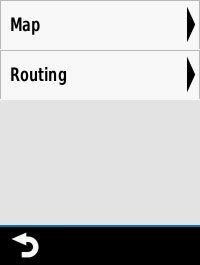 You can also download a previous ride's .FIT activity file from TrainingPeaks or Garmin Connect. Note this only works if the originally uploaded file was a .FIT activity file. 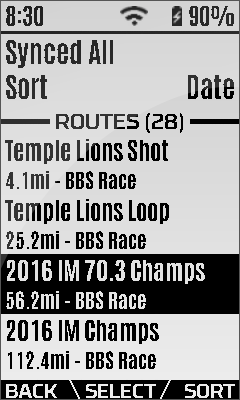 What do I get on my race plan details page? Demo a premium race plan to see how the premium features of Best Bike Split can help dial in your equipment, experiment with different variables and use advanced weather reports to help you achieve your race day goals. What is the "Power Plan" chart and how do I use it? This chart shows you the optimal power pacing strategy for your race based on your specific goal inputs. 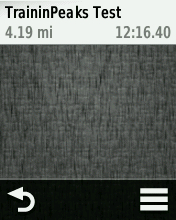 It also shows your estimated speed for each section of the course. As you hover over the graph you will see the marker on the map move to the section of the course that corresponds to that power target as well as an indicator of the wind relative to the rider for that location on the course. This chart will help you plan out your race strategy and think through where you will need to push and where you can hold a bit back. To remove a data set simply click that data's label shown under the graph. Toggle between distance and time by clicking either option above the graph data. How do I see metrics for specific sections of the "Power Plan"? When you zoom in on a section of the Power Plan Chart all of the summary metrics will update to reflect that specific section of the course. This allows athletes and coaches to do a deeper analysis of the race plan on areas such as major climbs, windy sections and/or out and back sections. To zoom simply click and drag across the Power Plan Time or Distance Chart. 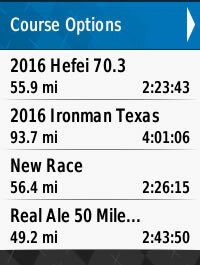 When you reset zoom, change chart type or switch tabs the Race Summary data will revert back to the total overview. What is the "Time Analysis" tool and how do I use it? The Time Analysis tool allows you to view the estimated time difference for changes in Power, Drag, Weight and/or Rolling Resistance for the race at both the individual segment level as well as the total cumulative time difference. Here are just a few things you could do with the Time Analysis feature. When you zoom in on a section of the Time Analysis Tool Chart all of the summary metrics will update to reflect that specific section of the course. You may also adjust the Power, Drag, Weight and/or Rolling Resistance sliders to see the effect on your zoomed area. This allows athletes and coaches to do a deeper analysis of the race plan on areas such as major climbs, windy sections and/or out and back sections. To zoom simply click and drag across the Time Analysis Tool Chart. When you reset zoom or switch tabs the Race Summary data will revert back to the total overview. What is the "Advanced Weather" chart and what does it tell me? 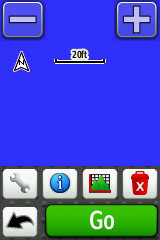 The Advanced Weather chart shows a forecasted or historical weather map for the course based on both location and time. The chart shows 12 sets of forecasted/historical weather data from points along the course corresponding to the time that the athlete will be crossing into those zones. This data is pulled in from the closest weather station to the zone that the athlete is estimated to be in at that time. Temperature is shown in either degrees Celsius or Fahrenheit depending on your unit settings. Relative humidity is the ratio of the current absolute humidity to the highest possible absolute humidity (which depends on the current air temperature). A reading of 100 percent relative humidity means that the air is totally saturated with water vapor. Barometric pressure (also known as atmospheric pressure) is the force exerted by the atmosphere at a given point. It is known as the "weight of the air". Measurement of barometric pressure is in bars, with normal pressure at sea level being 1.013 bars. Wind speed is shown in either miles per hour or kilometers per hour depending on your unit settings. The wind direction is shown in degrees and represents the direction that the wind is coming from, with true north at 0° and progressing clockwise. The graphic arrows point in the direction that the wind is going and are positioned relative to the course map, with north being at the top of the map. What is the "Yaw Angle Distribution" chart and what does it tell me? This chart shows you the percentage of race time you will spend in each yaw angle range based on your goal targets and weather data inputs. The yaw angle data can be used to help with race day equipment selection or can be used to support purchasing decisions. Many bikes and wheels are now designed to be faster at certain yaw angles so knowing the yaw angles you tend to experience most often in your races can help guide your major purchase decisions. To remove a data set on the chart simply click that data's label shown under the graph. Larger yaw angles indicate crosswinds while smaller angles will be more direct head or tail winds. The general rule of thumb is to go as deep as you can from 0-12.5 degrees yaw. Above 12.5 degrees it is very athlete dependent based on the athletes ability to stay steady and in position in the crosswinds. On courses with more hills this changes a bit based on weight and speed. What is the "Gradient" chart and what does it tell me? This chart shows you the percentage of race time you will spend in each road gradient range based on your goal targets and the terrain on the course. The gradient data can be used to help an athlete understand the nature of the course elevation. It can also be used to help highlight the type of climbs that would be beneficial to simulate in training. What is the "Peak Power" chart and what does it tell me? The Peak Power Chart shows the mean max average power values across different times for the race model. When compared to an athletes actual peak power or power duration curve this data can be used to help set any power limitations in the advanced settings section or to find areas where an athlete may need work to achieve an optimal pacing strategy for a given course. This becomes especially useful in Time Trial efforts where the peak power and the power duration curve should closely follow each other. What is the "Cheat Sheet" and what does it tell me? The cheat sheet breaks the course into scenarios with power targets for each based on your goal targets and course/weather conditions. Many of our Pros and Members use the cheat sheet exclusively on race day. 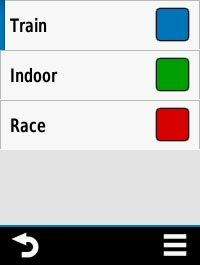 While racing you can follow the power targets based on the situation you are in at the time (i.e. 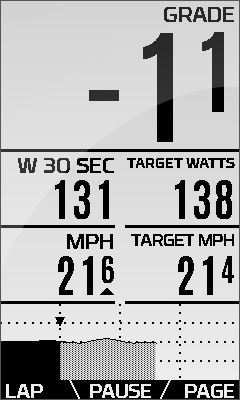 riding into a head wind on a flat to rolling section target 200 watts or riding up a minor hill 1-2% target 215 watts). Why is my estimated race time much faster/slower than my actual time? We provide general drag setting that will work for most athletes, but you may need to do some tweaking to get your drag numbers dialed in. The best way to do this is to adjust your 0 degree yaw angle drag in your bike settings. Try finding a high and low default setting (from your bike setup) then adjust your 0 yaw drag between these points by running the model and matching your average power (not normalized) and time compared to a known race result. See "How can I calibrate my drag using a past race and the Time Analysis Tool?" 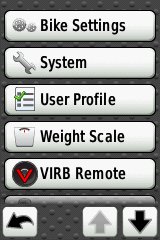 above for specifics on calibrating your drag. Note you may be a bit more aero for short races where you hold your position better than longer races like Ironman where you try to stay more comfortable. We suggest creating a bike profile for each. One for longer and one for shorter distance races. 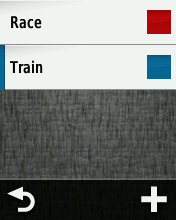 How do I delete a race plan? 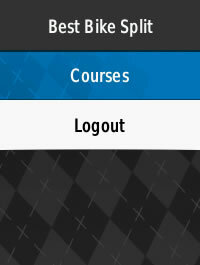 With a free membership you are limited to a single race plan and do not have the option to delete. You can however update your single race plan as many time as you like, changing the course and other settings to see new race plans. 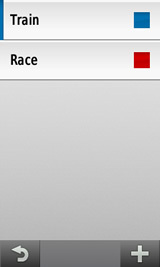 From a Premium subscription, an athlete can delete a race plan by going to the list of race plans located under "My Races" and clicking the race name then clicking the "Delete This Race" button. Similarly, a coach can delete race plans from a client account by first selecting the client to work with and then clicking the "Athlete Races" to view the list of that athlete's race plans and click the "Delete This Race" button under the selected race. 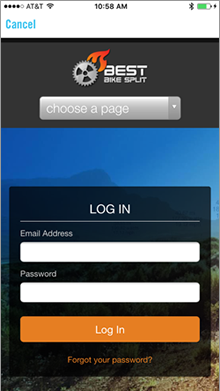 ELEMNT pages are set up using the ELEMNT app on your mobile phone. What are the differences between all of the available "File Downloads"? With an ever growing number of race plan files that are compatible with many Garmin devices as well as TrainerRoad, CompuTrainer, iMobileIntervals, perfPRO, PeriPedal and more it can be a little confusing on exactly which file type you need to download. Below is a brief description of each file type that we currently have available along with the devices and/or software that is compatible with that file type. The ERG file contains detailed watt and time information created from your race plan which can be used with indoor training software to provide a great simulation of your race. This file type is compatible with most indoor training software including but not limited to TrainerRoad, CompuTrainer RacerMate One, PeriPedal, PerfPRO and iMobileIntervals. Similar to the ERG file the MRC File contains detailed %FTP and time information created from your race plan which can be used with indoor training software to provide a great simulation of your race. This file type is compatible with most indoor training software including but not limited to TrainerRoad, CompuTrainer RacerMate One, PeriPedal, PerfPRO and iMobileIntervals. 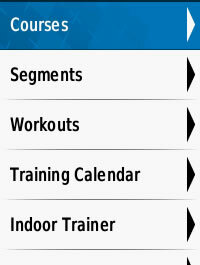 This Garmin Workout .fit file is a distance based workout file for Garmin Edge and specific Forerunner devices. When loaded* onto a Garmin device a distance based workout with watt targets corresponding to the Best Bike Split race plan is created. This workout can be used outdoors to simulate your race day efforts or indoors on a trainer in conjunction with a speed sensor and a power meter. Garmin limits workouts to a maximum of 50 steps so any plan longer than 50 segments will be intelligently combined into 50 workout steps. 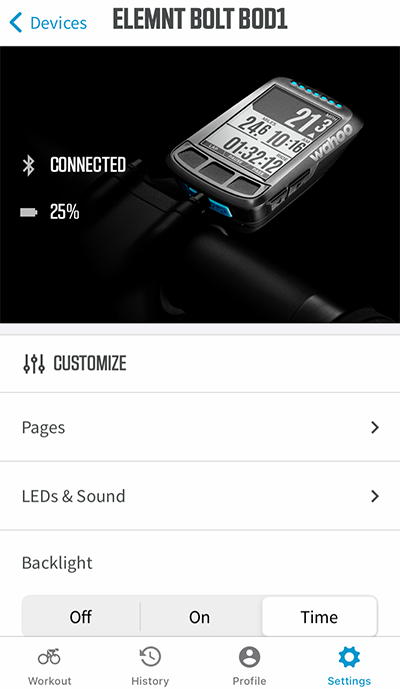 Garmin Workout files are compatible with Garmin Edge 500, 510, 800, 810, and 1000 cycling computers as well as Garmin Forerunner 910xt and 920xt watches. 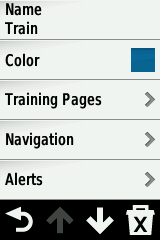 *Garmin Workout Files must be manually added to Garmin devices in order to expand capacity to 50 steps. 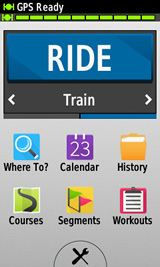 Please see "How do I load Garmin Power Course and TCX Power Route files on to my Garmin Device?" for details on getting the files on to your device. 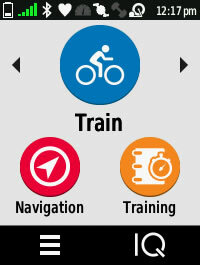 The Garmin Power Course .fit file leverages the built in courses functionality in Garmin Edge and specific Forerunner devices. This file is meant to be used while training or racing on a specific course. While riding a course on your Garmin device you will receive on-screen power target alerts as you pass latitude longitude points corresponding to your Best Bike Split race plan. Each Edge device does require some specific setup for best use of Garmin Power Courses and will require manual upload to the device. Garmin Edge 500, 510, 800, 810, and 1000 cycling computers and limited functionality is supported on the Garmin Forerunner 910xt and 920xt watches. 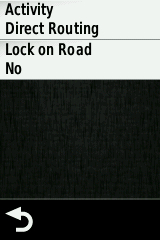 Please see "How do I load Garmin Power Course and TCX Power Route files on to my Garmin Device?" 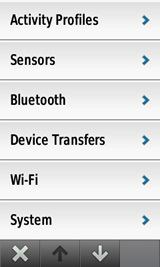 for details best settings and on getting the files on to your specific device. 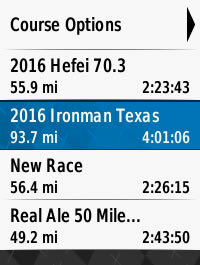 This file outputs your Best Bike Split race plan as a standard Garmin Activity .tcx file. This file can be loaded into outside software to perform additional analysis on your plan or compare your race plan to your actual race efforts. This file is compatible with TrainingPeaks, Garmin Connect, Strava, RideWithGPS, etc. 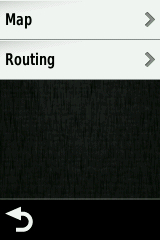 The TCX Power Route file has identical functionality to the Garmin Power Course but may not be supported by all devices. It will allow you to upload to other analysis software such as RideWithGPS to get different views of your route and power targets. 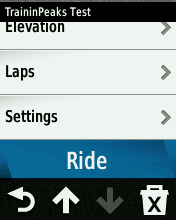 Please see "How do I load Garmin Power Course and TCX Power Route files on to my Garmin Device?" for details on getting the files on to your device. The CompuTrainer Course file allows you to train on the course profile for any race including the wind component you will experience. If it's a very windy race you will have to push harder on sections that would be into a headwind while experiencing the benefits of tail winds in other sections. This file is compatible with both the original 3D software as well as the RacerMate One software. 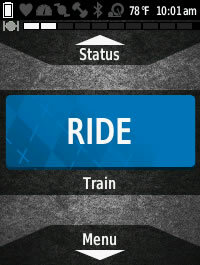 TrainerRoad is a simple but incredible indoor training application compatible with most any indoor trainer. We have created a special TrainerRoad file that adds additional instructions and information on top of the typical ERG file functionality. 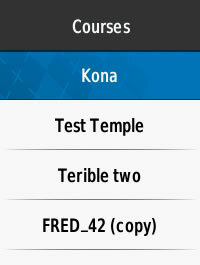 This file type is in beta as we add additional features to it over the off season. The BBS Power Targets data field displays an athlete's race plan power targets in real time as the athlete progresses through the course. 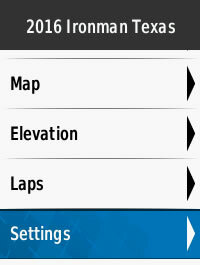 Please note that this data field will only work in conjunction with Garmin Power Course (.FIT) file. 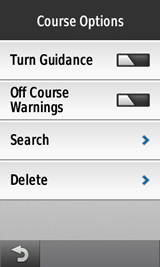 Note: If you would like alerts when a Power Target is updated enable Course Points in this settings section. 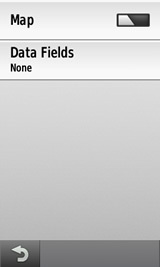 With Course Points disabled the Data Field will still update but there will not be an alert. When prompted to "Navigate to Beginning of Course?" 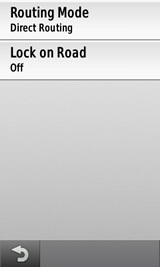 it's best to dismiss this option (select No). As you approach the beginning of the course the head unit should find it. 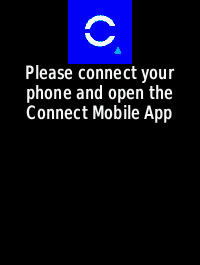 If you see an N/A during a course it means your device firmware is not up to date or your device does not support the 2.2.x Connect IQ SDK. If you see No Target your course file does not contain course points. 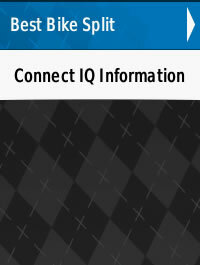 Download the Power Targets data field from the Garmin Connect IQ store. 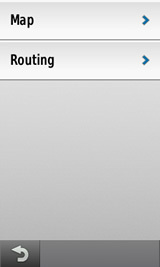 How do I load Garmin Power Course and TCX Power Route files on to my Garmin Device? Note: If the file does not load you may need to clear up memory by removing old courses. 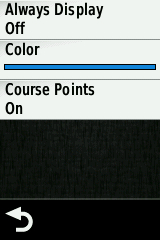 In some cases you can only load one course file at a time. 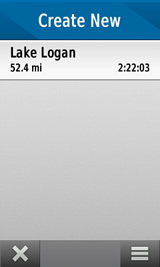 One of Best Bike Split's key features is the Garmin Power Course. 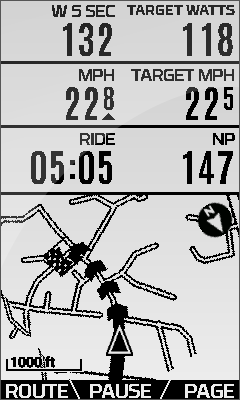 This file when paired with a Garmin Edge cycling computer allows you to receive location based power instructions while racing. Each Garmin device is slightly different so we have created the guide below to help you get the optimal settings for your device. Remember Garmin Power Courses require you to be riding on the actual course because power targets are based on latitude and longitude points. Before starting, make sure you always have the latest firmware installed on your device. 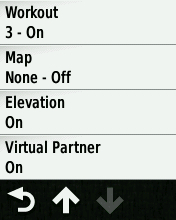 We recommend the following data fields when using Garmin Power Courses on your device. These settings will help guide your actions as power target alerts are prompted. Use the following screenshots to help you setup your Edge 520 for optimal use with Garmin Power Courses. 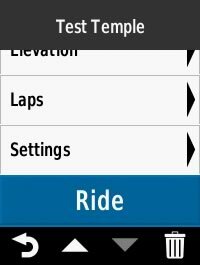 What settings should I use for my Garmin Edge 500 with Garmin Power Courses? The Edge 500 has limited options for course navigation compared to Garmin’s newer devices, but the Garmin Power Courses work pretty well without many customizations. 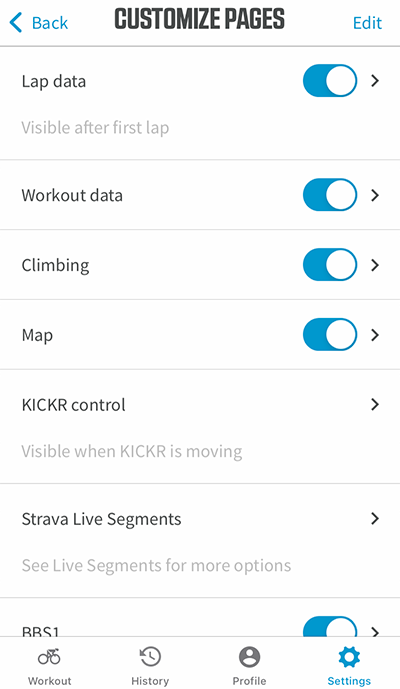 Note: For triathletes you can start the course before heading out on the swim if you turn off the Auto Power Down option under Menu -> Settings -> System. 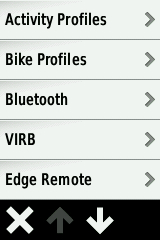 What settings should I use for my Garmin Edge 820 with Garmin Power Courses? Use the following screenshots to help you setup your Edge 820 for optimal use with Garmin Power Courses. 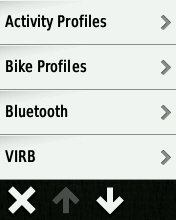 What settings should I use for my Garmin Edge 800 with Garmin Power Courses? 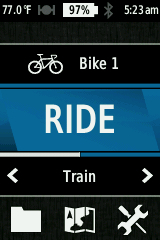 One of Best Bike Split’s key features is the Garmin Power Course. 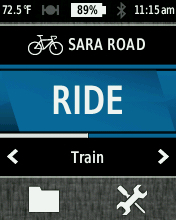 This file when paired with a Garmin Edge cycling computer allows you to receive location based power instructions while racing. Each Garmin device is slightly different so we have created the guide below to help you get the optimal settings for your device. Remember Garmin Power Courses require you to be riding on the actual course because power targets are based on latitude and longitude points. 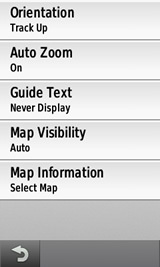 Use the following screen shots to help you setup your Edge 800 for optimal use with Garmin Power Courses. 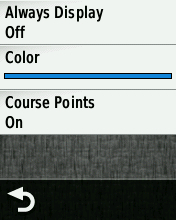 Now that your settings have been adjusted they will be saved to the specific course. When you are ready to race simply follow the instructions below. 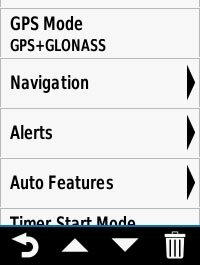 What settings should I use for my Garmin 510 with Garmin Power Courses? 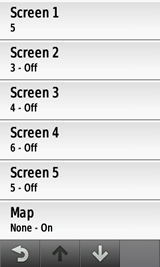 Use the following screen shots to help you setup your Edge 510 for optimal use with Garmin Power Courses. 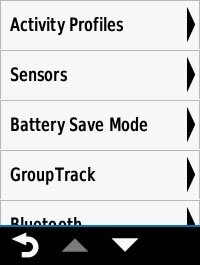 What settings should I use for my Garmin 810 with Garmin Power Courses? 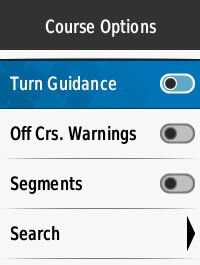 Use the following screen shots to help you setup your Edge 810 for optimal use with Garmin Power Courses. 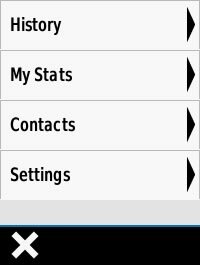 What settings should I use for my Garmin 1000 with Garmin Power Courses? 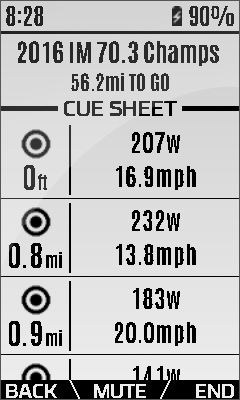 Use the following screen shots to help you setup your Edge 1000 for optimal use with Garmin Power Courses. 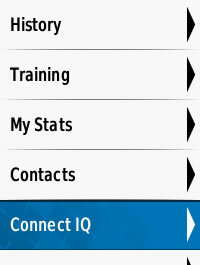 The Race Analytics Tool lets athletes and coaches upload ride files and analyze their performance. From this data we can help refine the model settings of the athlete for future race planing. We have combined several of our former features into this new section to provide a more comprehensive view into race day performance. Race Analytics will currently estimate aerodynamic drag factors and allow athletes to update their settings, highlight Variability Index tendencies over time, provide zoomable standard metric calculations and give insight into performance factors by gradient breakdown. If you are using a file from a Velodrome you can select Velodrome for course terrain and latitude and longitude data will not be required. If the data looks accurate you can apply the Estimated CdA values to your specific BBS bike setup by clicking the "Update Current" button under Estimated Data Comparison for one or both of the racing CdA and Climbing/Relaxed CdA values. Note: If data seems inconsistent please see our case study on the Aero Analyzer. What are the best practices for setting up a ride for the Estimated CdA functionality of the Race Analytics Tool? While any ride that has GPS data, power and speed can be analyzed, a few extra steps can help get the most accuracy out of the analysis. What is the "Ride Data" chart? This chart plots out the general ride data from your uploaded file along with calculated CdA points through out the course. As you hover over the chart you will see the marker on the map move to the section of the course that corresponds to that data as well as an indicator of the wind relative to the rider for that location on the course. 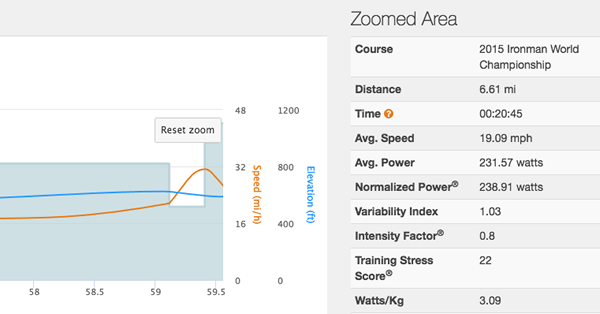 Click and drag across the Ride Data chart to zoom in on a section and all of the summary metrics will update to reflect that specific section of the course. To remove a data set simply click that data's label shown under the graph. How do I see metrics for specific sections of the "Ride Data"? What is the "Weather" chart and what does it tell me? The Weather chart shows a forecasted or historical weather map for the course based on both location and time. The chart shows historical weather data from points along the course corresponding to the time that the athlete crossed into those zones. This data is pulled in from the closest weather station to the zone that the athlete was in at that time. What is the "CdA Clusters" chart? Once the algorithm calculates aerodynamic drag across the course we attempt to cluster this data into buckets representing Race, Climbing/Relaxed and Anomalies positions. 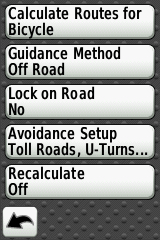 These are used to derive the optional updates for your bike settings in BBS. The CdA Clusters chart displays these groupings in an interactive 3-D chart by CdA, Speed and Gradient. The chart can be rotated allowing you to gain insight into speeds and gradients where an athlete tends to change positions. What is the "Yaw Angles" chart and what does it tell me? White papers and marketing material often show how much more aero different equipment is at various yaw angles. When analyzing the ride we can give an accurate picture of the true wind angles experienced and give better insight into the type of wind conditions athletes experience during a race or ride. This chart shows the yaw angle breakdown of the file and the average for both the drive (+) and non drive (-) sides. What is the "Gradients" chart and what does it tell me? This chart shows the percentage of race time you spent in each road gradient range as well as the athlete's average speed and power for that range. This gradient data can help show areas of strength and weaknesses specific to the athletes descending skill and climbing power limitations, which you can use when setting max descent speeds or power limits within the race plan advanced settings options. The Peak Power Chart shows the mean max average power values compared to the equivalent mean max normalized power values across different times for the race file. 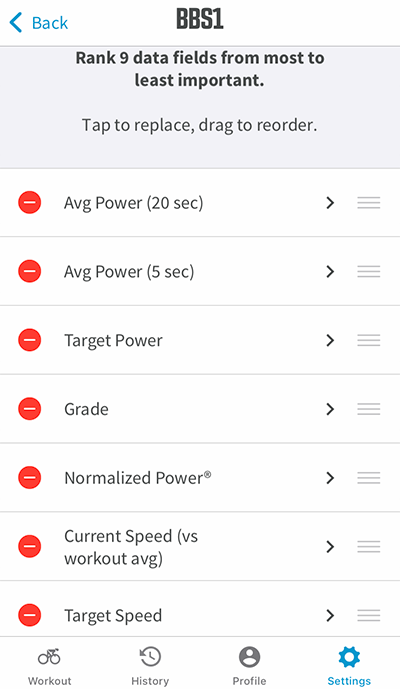 When compared to an athletes previously recorded peak power or power duration curve this data can be used to help set power limitations as well as minimum VI values in the advanced settings section or to find areas where an athlete may need work to achieve an optimal pacing strategy for a future race. This becomes especially powerful for lower powered athletes or in hilly terrain where athletes will struggle to maintain lower VI values. How do you tell the difference between good and bad data input? The Estimated CdA is very dependent on good data. There are a lot of areas where data can get corrupted from uncalibrated (or in some cases left only) power meters, bad barometric or GPS elevation data, poor location data, and/or inaccurate weather information. We do our best to help alleviate this behind the scenes, but with all of the variables bad data is bound to sneak through sometime. Ideally with the perfect setup and known conditions the CdA data will appear as a straight line across, but these conditions rarely if ever actually exist outside the trainer or velodrome. Conveniently we use some techniques in our algorithm to minimize the impacts from real world data flukes as much as possible. It is often fairly obvious to determine whether the input data is good visually from the resulting CdA data. A couple of examples are shown below and more information can be found in our case study here (link to case study). On a hilly course in sections where an athlete would normally stay in an aero position if the CdA numbers are much higher for the slightly uphill sections compared to the slightly downhill sections it is an indication that the weight in the algorithm may be too low compared to actual. Below is a case where there is a disparity on the same sections of uphill to downhill. Because the athlete is above 20 MPH for both of these they should be staying as aerodynamic as possible. 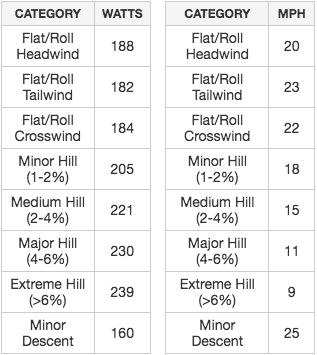 This is an example of an out and back where historical wind data was off by 180 degrees so what looked to the analysis like a head wind out and tail wind back was actually a strong tailwind out and head wind back. Thus the calculated CdA numbers on the way out where too low whereas the numbers on the way back were too high. How accurate is the Estimated CdA? The physics behind our analysis algorithm for estimating CdA is sound and we have shown against velodrome and wind tunnel data that the deltas between an athlete's position can be picked up nicely. As we get more data we will continue to refine our methodology especially around our clustering algorithm which does tend to error a bit on higher side for drag settings. This is somewhat purposely so athletes and coaches don’t have overly optimistic expectations that can not be met in reality as we have seen with some wind tunnel and velodrome data in the past. Why won't my file load in the Race Analytics Tool? Currently we only accept .FIT, .TCX, .WKO and .PWX files for analysis. These files at a minimum need to have speed, power and lat/long data for outdoor rides or speed and power data from velodrome rides. The system will give a warning if there is insufficient data to process your file. Why are my drag numbers for the Race Analytics Tool different from the Time Analysis Tool? The main reason we started down this development path is to separate the estimated CdA from the pacing portion of the system. The Time Analysis Tool will give a good drag estimate based on previous performances if the ride/race was ridden with the given pacing strategy. For test rides, equipment tests or races where a different pacing strategy was implemented a new tool needed to be developed. In the future this will also allow us to break down race analysis for time gained/lost corresponding to riding strategy versus settings. Why does my CdA Cluster chart look so scattered? Data is often messy. When analyzing road rides the data will typically be very scattered in the cluster chart; however, on the Ride Data chart you should be able to pick out areas where you were sitting in the pack or taking a pull and see what kind of drag data corresponds to the different situations. What is the Download Workout File section? 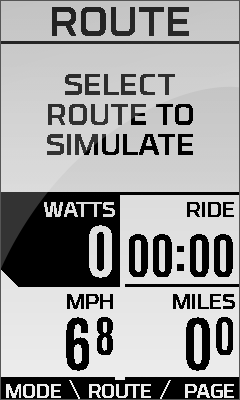 The Download Workout File allows you to download a representative .ERG or Zwift file based on your uploaded race file for use with compatible indoor training software. For more information on using the files with training software please see the specific FAQs on TrainerRoad or Zwift. What is the difference between a coach membership and a premium athlete membership? With a coach membership you are able to setup and/or maintain unlimited athlete profiles. 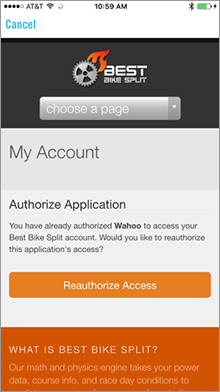 Under the "My Athletes" tab you can add athlete profiles yourself or invite athletes to setup their own Best Bike Split memberships and then have them grant you access to their account. Other than having the option to work with multiple athlete profiles, a coach membership essentially functions just like the premium athlete memberships. Once you select the athlete profile that you wish to work with, you have the ability to add/modify that athlete's profile, add/modify that athlete's bike(s), add/upload courses for that athlete and create/modify race plans. The coach membership does have an additional link on the race details page called "Athlete Link" which is a link that you can send your client/athlete giving them access to their race detail page even without being a Best Bike Split member. Remember you can rollover these question mark icons for additional information on a topic. We also have a YouTube Channel with several tutorials and instructional videos. Didn't find what you were looking for? Don't hesitate to submit a request to our Customer Success Team and we'll help you out.